Paramount Pictures released the first poster for the upcoming 3rd movie in the Transformers series. If you missed the trailer then just head over here to see it. The Autobots Bumblebee, Ratchet, Ironhide and Sideswipe led by Optimus Prime, are back in action, taking on the evil Decepticons, who are determined to avenge their defeat in 2009's Transformers: Revenge of the Fallen. 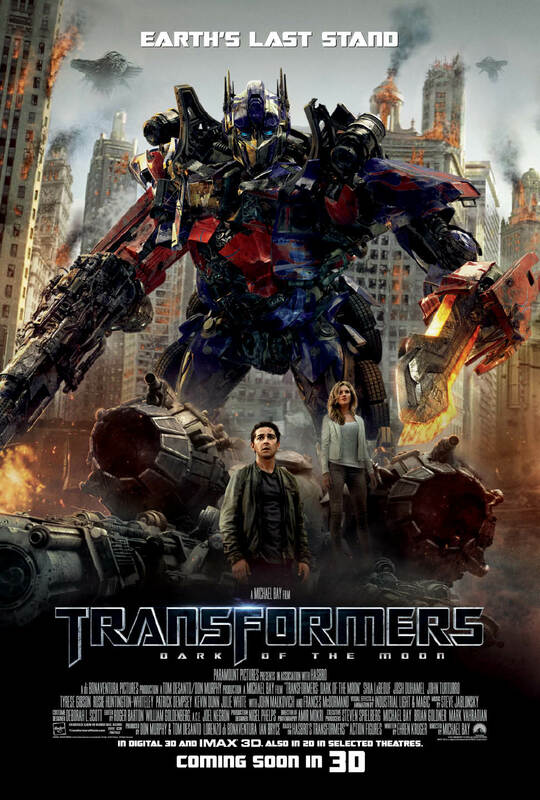 In this new movie, the Autobots and Decepticons become involved in a perilous space race between the US and Russia, and once again human Sam Witwicky (Shia LaBeouf) has to come to the aid of his robot friends.